On August 25 and 26, 1967, The Beach Boys (absent Bruce Johnston, but with Brian Wilson on organ for his first concert appearances with the band in more than two years) recorded two concerts and rehearsals in Honolulu for a prospective live album to be titled Lei'd In Hawaii, applying a new Smiley Smile-inspired aesthetic to the performances. Just over two weeks later, the band (with both Brian and Bruce participating) began re-recording the live set in-studio at Brian's house and at Wally Heider Recording in Hollywood, after the Honolulu concert tapes were deemed unusable. Although completed and mixed, the final planned audio element of a canned concert audience was not added and the Lei'd In Hawaii project was canceled. Those live, in-studio performances morphed into sessions for the Wild Honey album, primarily comprised of original Brian Wilson/Mike Lovecompositions. 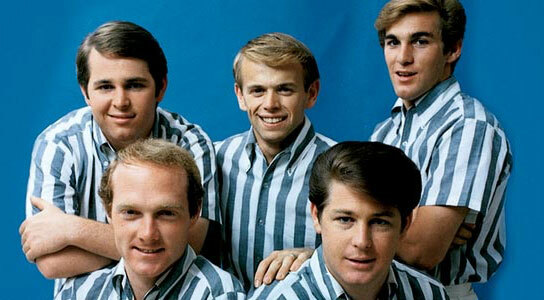 The Beach Boys continue to hold Billboard / Nielsen SoundScan's record as America's top-selling band for albums and singles, and they are also the American group with the most Billboard Top 40 chart hits (36). "Good Vibrations" was inducted into the GRAMMY Hall of Fame® in 1994. 'Sounds Of Summer: The Very Best Of The Beach Boys' has achieved triple-Platinum sales status and 'The SMiLE Sessions,' released to worldwide critical acclaim in 2011, was heralded as the year's Best Reissue by Rolling Stone and earned a GRAMMY Award® for Best Historical Album.